Muslim rebels attacked a second province in the southern Philippines, not far from where they are engaged in a days long standoff with the military. 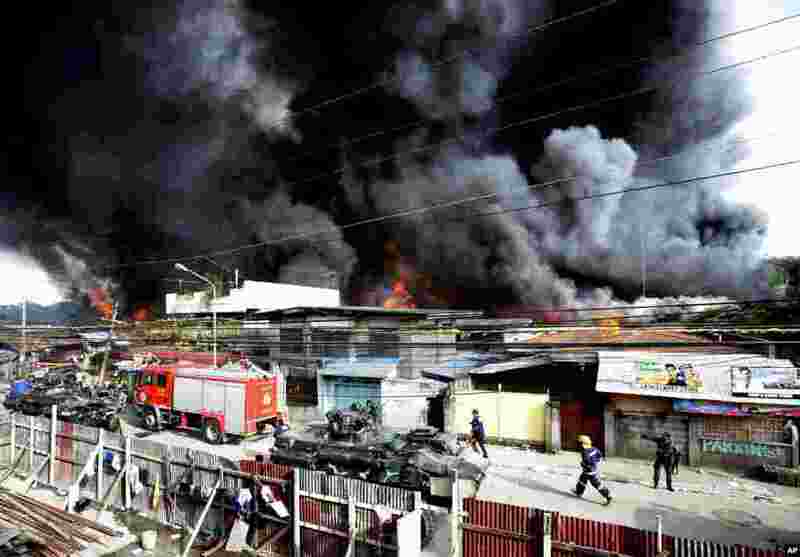 1 Firemen rush to put out a fire that razed several homes as government troopers continue their assault on Muslim rebels in Zamboanga, Philippines, Sept. 12, 2013. 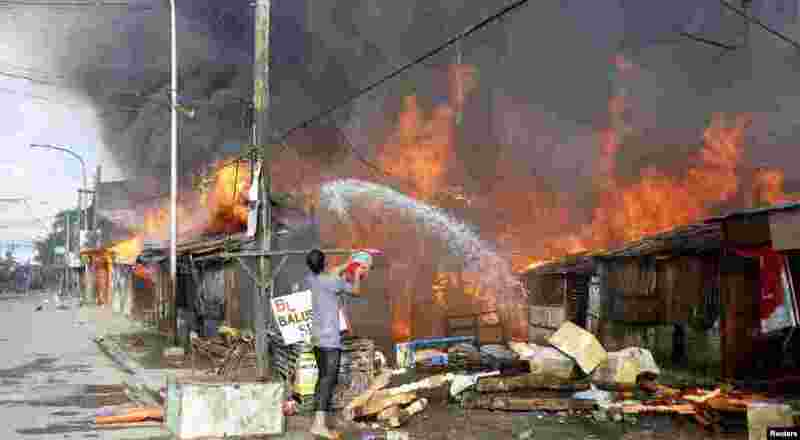 2 A man throws water into a burning house in Zamboanga, Philippines, Sept. 12, 2013. 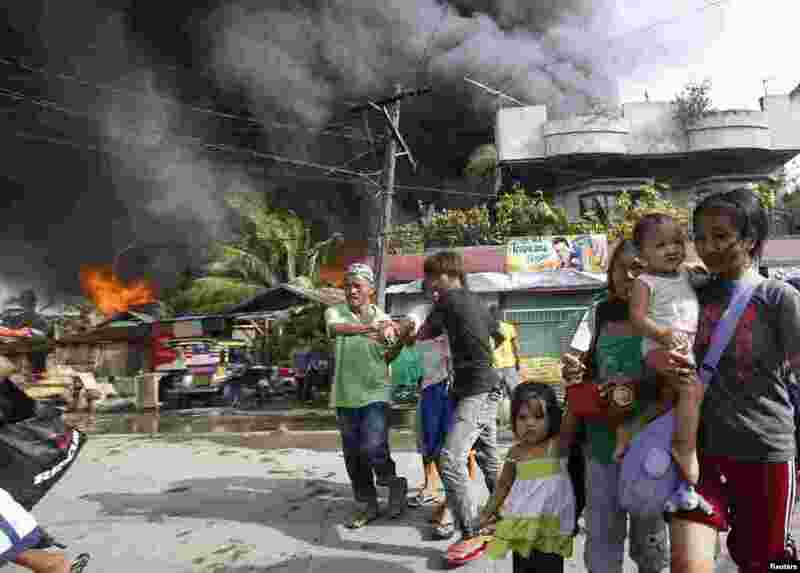 3 Residents evacuate as houses burn in a residential district after a clash between government soldiers and Muslim rebels in Zamboanga, Philippines, Sept. 12, 2013. 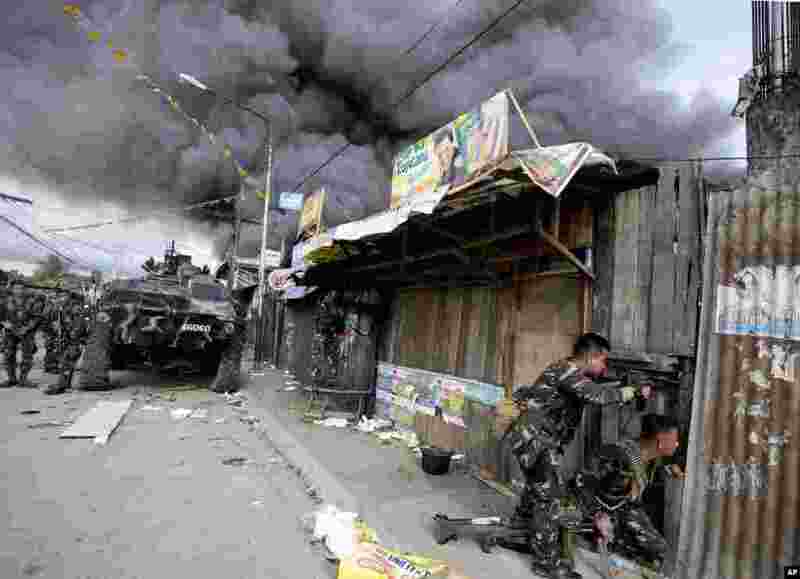 4 Government troops continue their assault on Muslim rebels in Zamboanga, Philippines, Sept. 12, 2013.